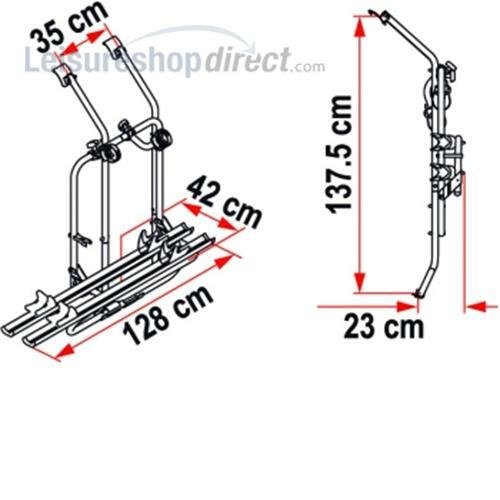 This bike carrier is specially designed for VW T4 with double rear door. Easy installation with the standard delivered brackets, without drilling the vehicle. 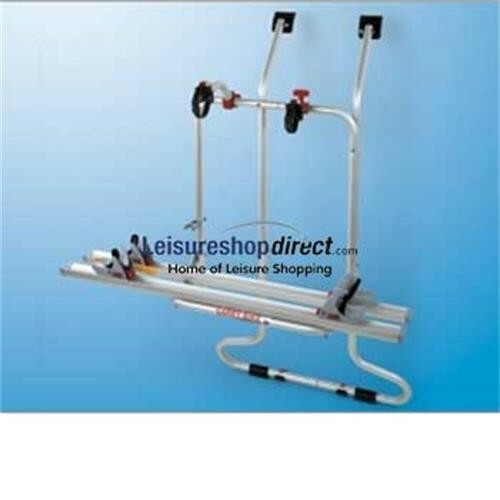 It is supplied with 2 rail premium, 2 bike block pro red (1 & 2), 1 rack holder and 1 security strip. It is only designed to take 2 bikes and you cannot increase on this.